How to stop macbook spotlight from showing internet website and dictionary? I just want to search files in my computer. If I want to search things in internet I will go to browser. Farther up, there is also a "Bookmarks & History" that could be relevant. Not the answer you're looking for? Browse other questions tagged high-sierra spotlight . How to exclude certain particular files from Spotlight? 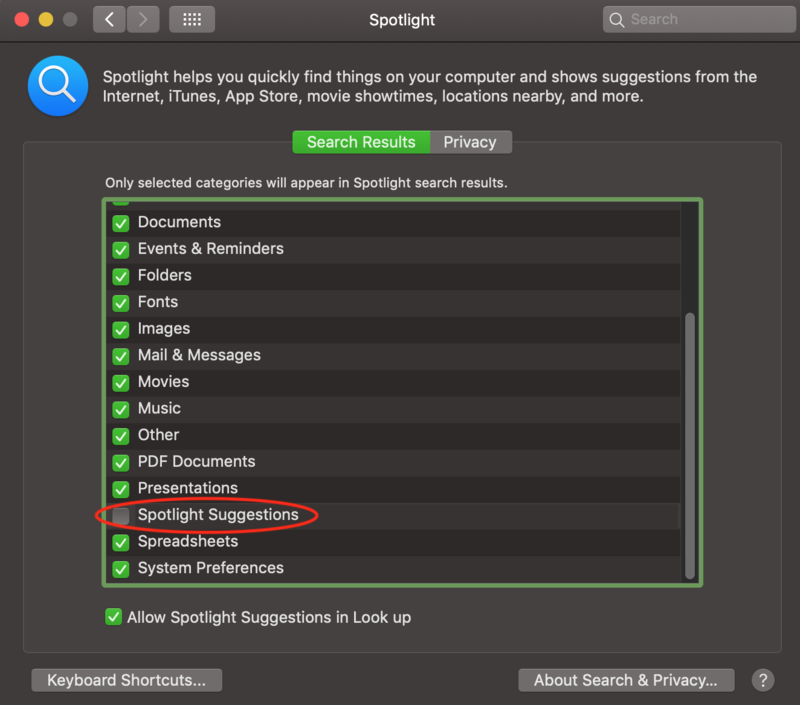 How to get Spotlight to default to Internet search? How does “Optimize Mac Storage” for iCloud Drive interact with Spotlight and Time Machine? How do I restore the previous “Command-Space” search?